A few floor plan packages for basic idea of how much a finished camping cabin will cost. 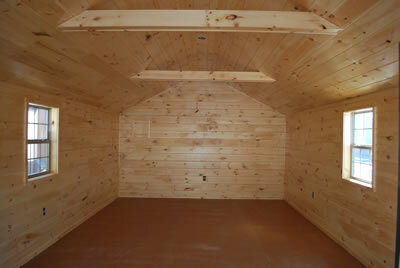 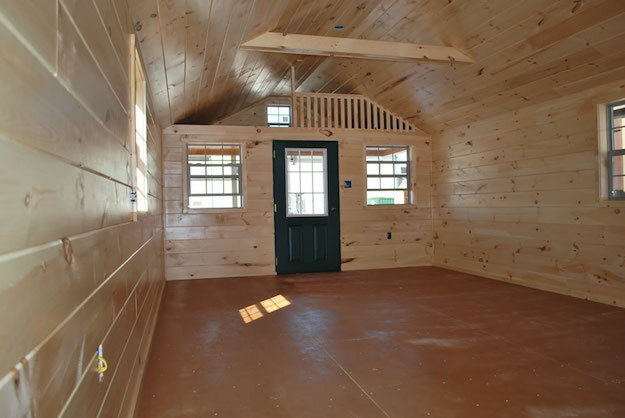 Shawnee Structures offers a limited amount of interior finishing on camping cabins. 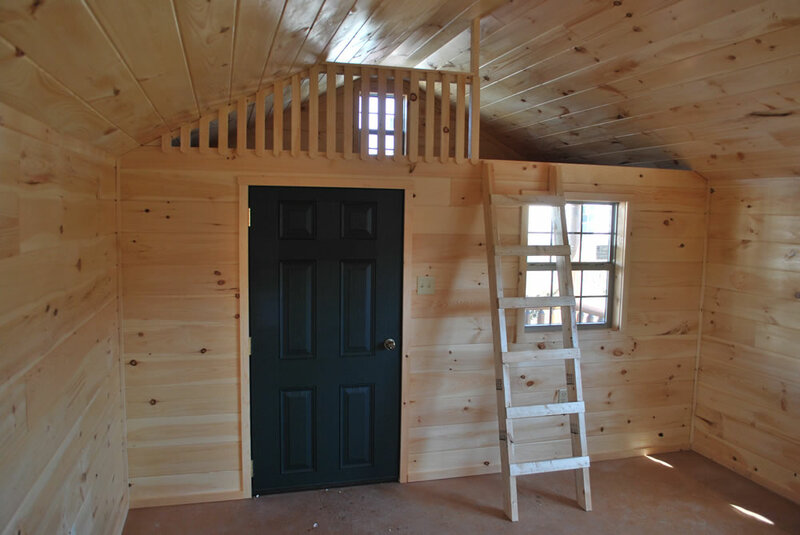 Lead time on finishing cabins may vary from 2-4 Months. 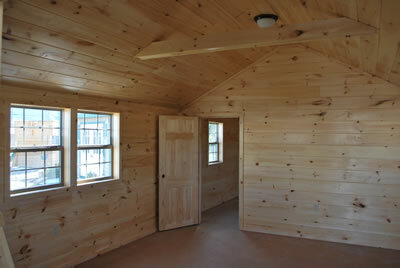 Camping Cabin Interior. 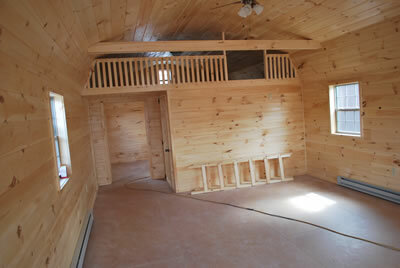 Loft above Bedrooms and Bath Extra. 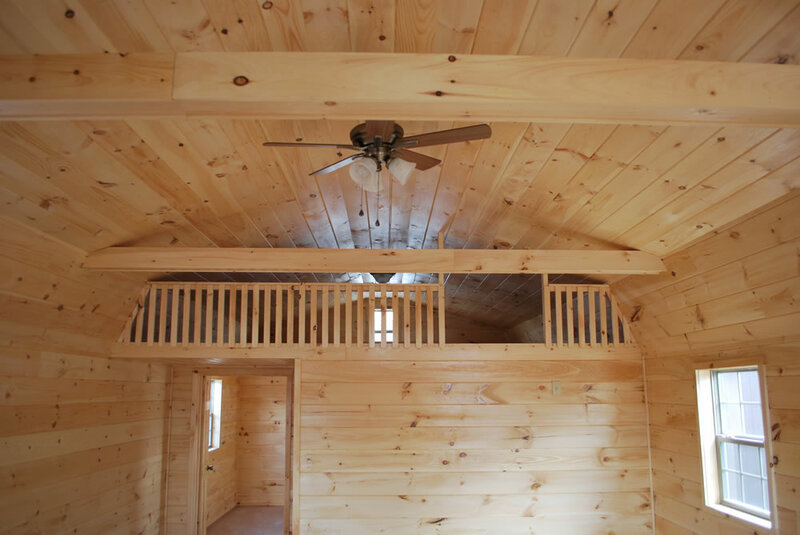 Shawnee Structures does not provide plumbing.